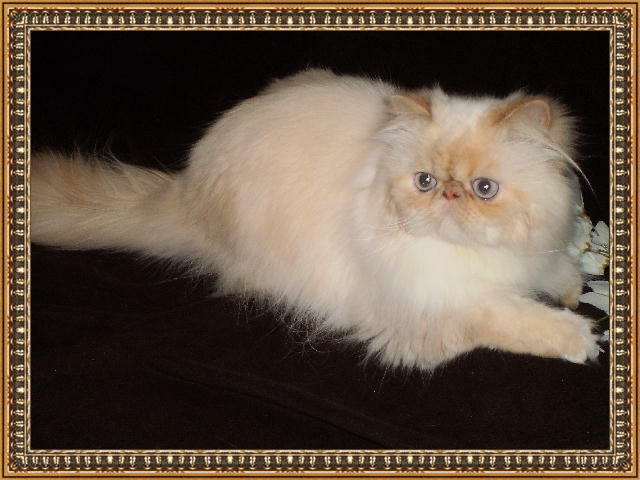 Indy is a flame lynx point Himalayan Persian. His bloodlines are impeccable on both sides of the pedigree! He comes from a long line of top quality show cats. He is a proven producer having sired his first litter at only 9 months of age! He is gentle, friendly, and loves to be groomed and cuddled. 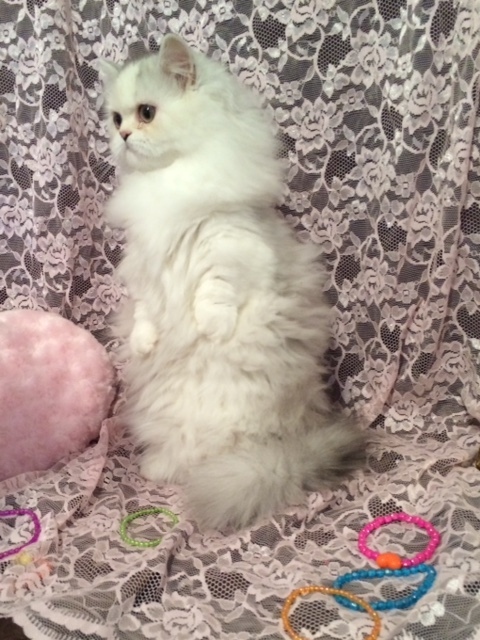 His kittens are carrying on his wonderful personality and outstanding quality! Pedigree available for viewing. Fleurdelis Armani is our chocolate lynx point stud. He brings size and excellent bone to our program. We are so excited with what he is producing. Meet Tinsel, our lovely black silver shaded torbie with white. 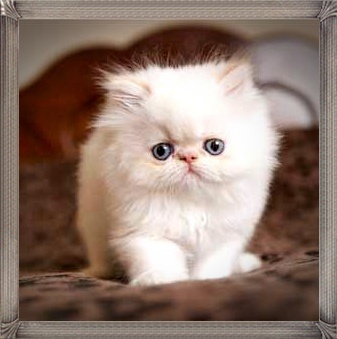 She produces lovely high white kittens with unusual and striking markings. She carries chocolate so also produces chocolates with high white. Sweetest momma ever! 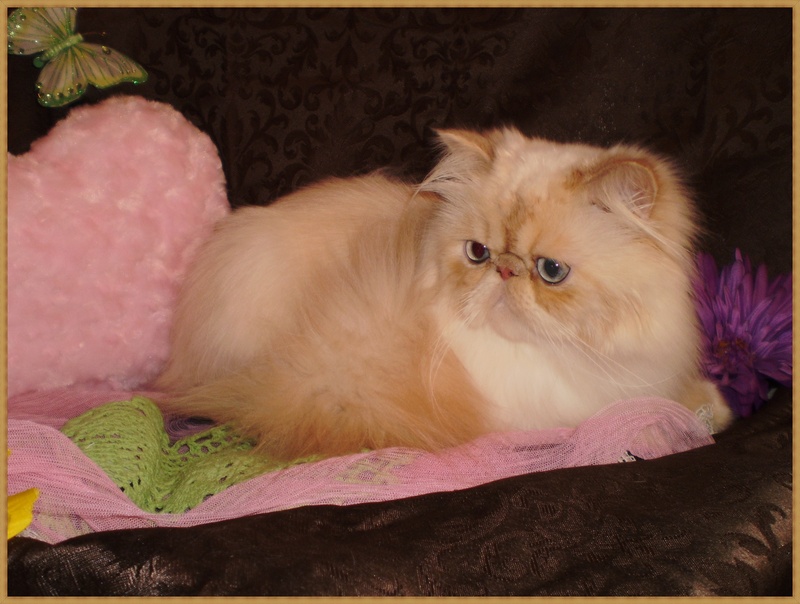 Lildarlynns Chocolate Éclair of Windysweptt, is a lovely chocolate silver torbie with white. She is also odd eyed and can produce odd eyes! 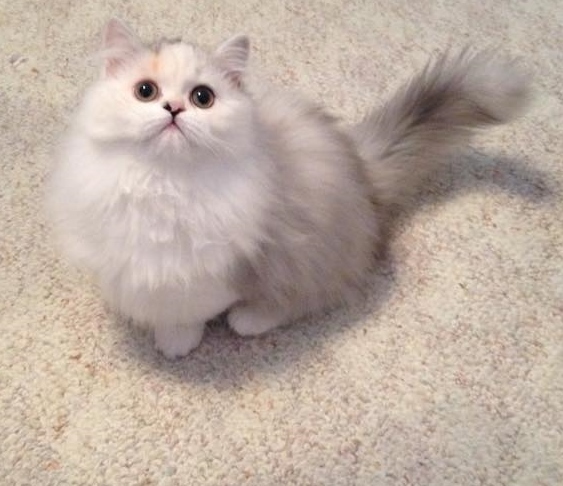 She has an incredible coat, loving personality, and is still as playful as a kitten. Chocolate, chocolate, chocolate! 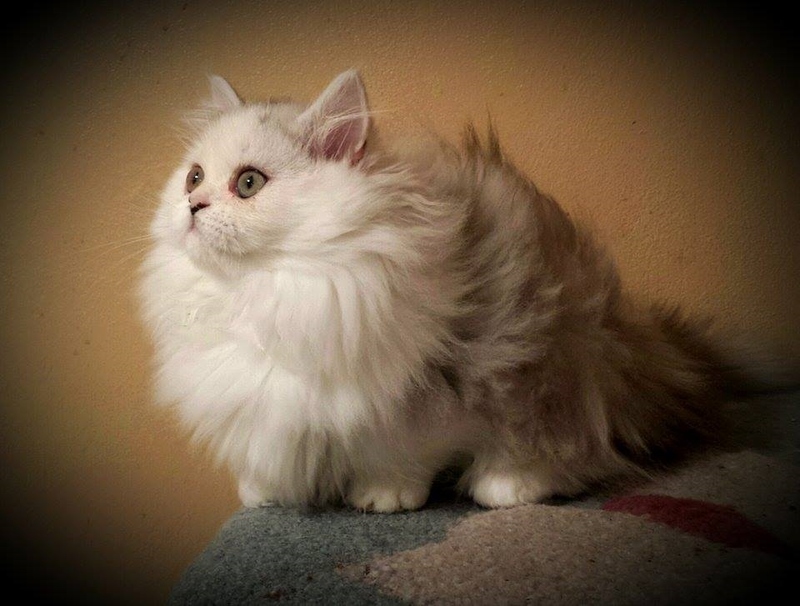 Purrdelis Kaycee comes to us from the McMullens in Kansas. She is our newest addition and we are thrilled to have her. We can’t wait to see what she produces!